Engine professionally rebuilt for the 2017 season. Zero hours. New fresh water, grey water and water accumulator pumps. A trawler style cruiser for sale in the south of France. 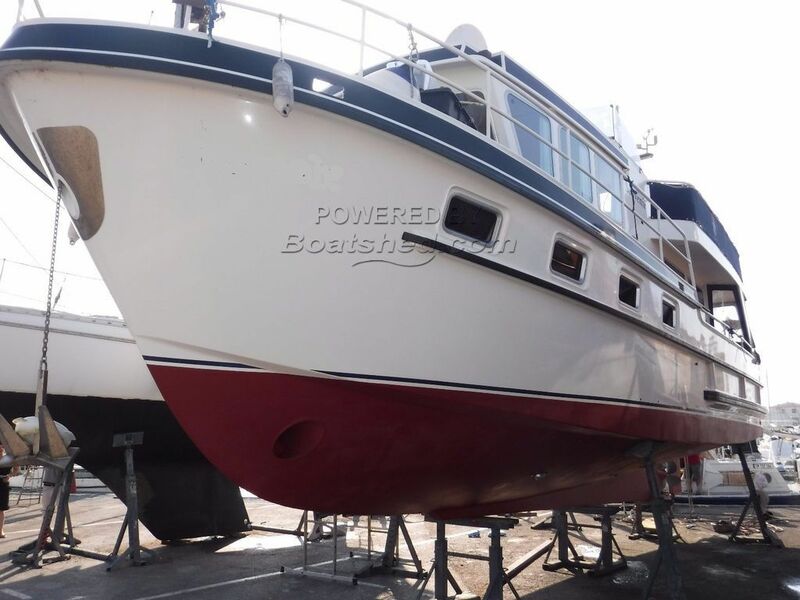 Boatshed Midi Canals is pleased to offer an excellent example of a 1989 Pedro Bora which had a complete refit in 2008, a professionally re-built engine in 2017 and presently being prepared for the 2018 season. Includes full generator and bow thruster service. Ready for delivery in March. So much space, superb specification and well designed makes her a good live aboard and long distance cruiser for both sea and inland river cruising. Current owners will also consider trading down to a smaller boat to suit their changing lifestyle. For more information or to organise a visit, please contact Graham WHARMBY, your local broker at Boatshed Midi Canals. This Pedro Bora Professionally Re-fitted 2008 And Complete Engine Rebuild 2017 has been personally photographed and viewed by James Hebden of Boatshed Midi Canals. Click here for contact details. Is this boat suitable for the canal system, or is the draft too deep?